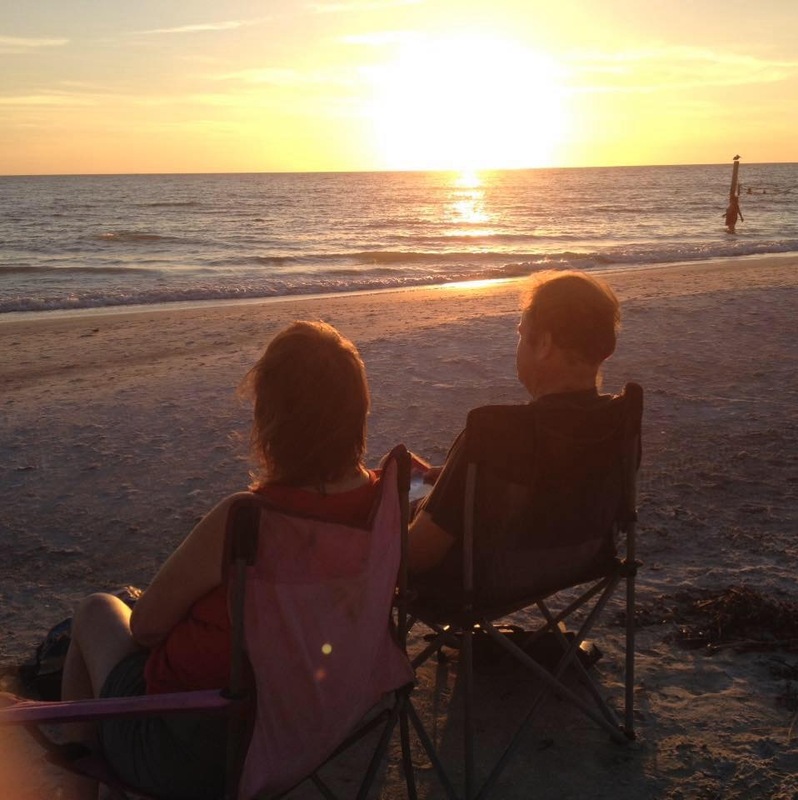 It’s Friday and we live in Florida and it’s winter and where do we go or what we do..
As promised –I promised to fun! We live in Florida it’s Friday almost 6 PM and what do we do? We’re not on vacation, but we do plan things on the weekends! I’m nine minutes away from the local beach we don’t sit there all weekend, but will pop down at night and drive on by and stay away from the definition of boring. What is boring? That’s another story. 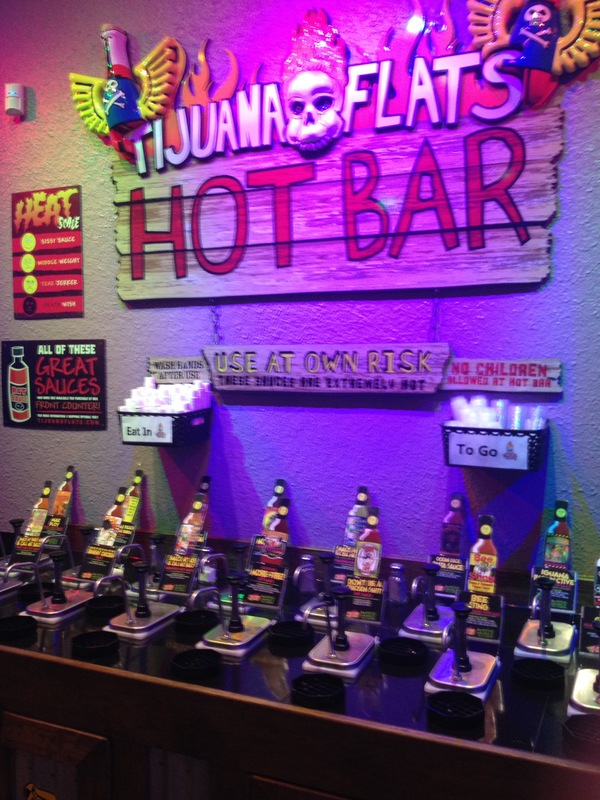 Above is Tequila Flats hot sauce bar. We go here. It’s a Tex-Mex chain. Go to tequila flats.com for locations near you. 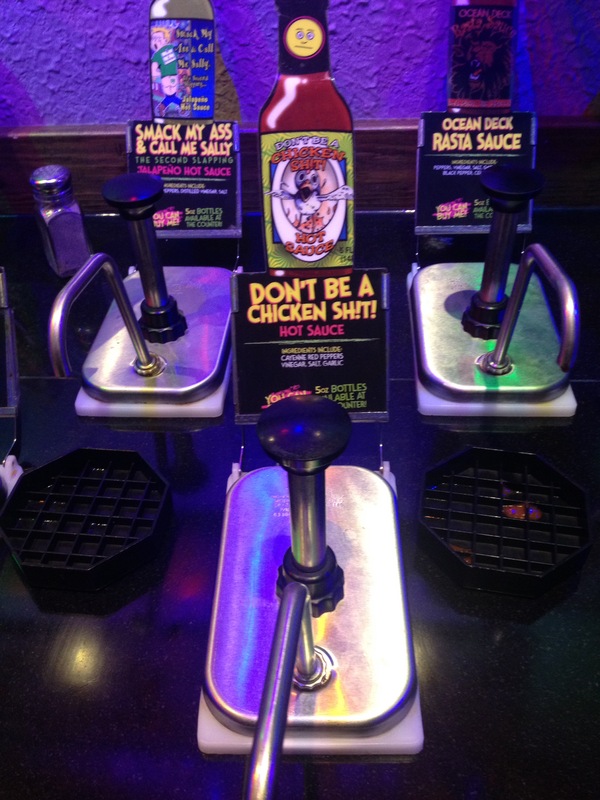 You can order that nasty hot sauce online. It taste good. I will tell you a few things but I do not use on weekends. No socks! I own one pair of socks for skating! And I usually have to borrow the ones I do own. I don’t about 20 tanktops and short sleeve shirts. I don’t own any dresses past the knee. OK, maybe one but it’s used in the winter to keep warm. I own exactly 7 sweaters and long sleeve shirts together!. That’s it. Period. I have one large heavy wind breaker. Winter in Florida : I don’t own a single scarf that could be classified as a winter scarf. We don’t drink beer every single day. If you have any class you don’t drink every single day because your face will show it. This weekend I plan to go to a church Super Bowl party because they have the best food made by grandmas who come down from the north. We have one of those this weekend. Cheap eats. Story later on this after this weekend. This is daily life in Florida that most people miss. You could go to a bar and spend a zillion dollars, but the local parties at churches are the best. The food is cheap and they’re not many drunks around. Around the corner is my church is a local redneck Trumper bar, The Still on Walsingham. I would love to know how many do those county cops –who sit there in the parking lot of my local church which is near it catch after halftime and after the game. Yes! Either walk around in 70° weather or 90° weather. In the summer it’s over 100°. I went to a food trucks function there once to walk around there in 90° I almost died. My point? There are plenty of things to do here in the Tampa Bay area, but we don’t sit home all the time like a lot of people do up north. What is my favorite thing to do on the weekends? Go to Publix supermarket and order a submarine sandwich which they make at the counter deli there. They are usually very cheap and under $10 and two people need to eat one. In the wintertime it’s very crowded about 4 o’clock in the afternoon on Saturday because everyone’s trying to do what we’re doing. Take that sandwich in a plastic bag and head for the door and head for the convertible car. Where to go? Our empty beach to watch the sunset with other natives. Something you should know: most Tourists are at bars getting drunk. Sunsets are not crowded. There are no boardwalks in our local area If you watch the sunset but most of them are natives of their with their sandwiches and their significant other . This is what we do on the weekend. This is Fla daily life. Prev Post: Pux Phil says six more weeks of winter and Wisconsin is this what you do up north without a beach??? Next Post: A Florida funny endurance daily life test in our house test #3. If you are prim and proper take this test.